Dad certainly had every right to hold his daughter accountable for dressing appropriately. The important thing missing in this situation was that appropriateness had not been clearly defined and agreed upon between dad, mom & daughter. Had clear boundaries and consequences been set, there would be no need for harsh words when tested. A battle would have been averted. Straightening up, Jesus said to her, ‘Woman, where are they? Did no one condemn you?’ She said, ‘No one, Lord.’ And Jesus said, ‘I do not condemn you, either. Go. From now on sin no more.’ Then Jesus spoke to them (the Pharisees), saying, ‘I am the Light of the world; he who follows Me will not walk in the darkness, but will have the Light of life.’ – John 8:10-12. Jesus certainly had every right to condemn the woman caught in adultery as well as the Pharisees who had pushed the boundaries of their role. This is the tension reflected in Jesus’ life, extending grace while not compromising Truth. 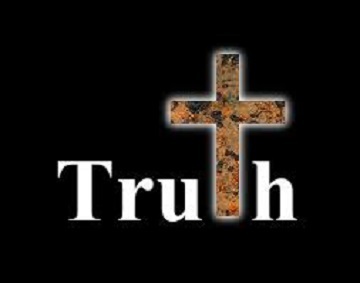 Clarity in the Truth was very straightforward for Christ as “the Word became flesh” (John 1:14) with His life. Boundaries were clear as He honored, obeyed and glorified the Father. The issue may be a daughter’s skirt length, a son’s hair length or access to a smart phone. My bride’s words of wisdom over the years were frequently, “Pick your battles.” For me everything was a battle, something I needed to conquer through intimidation, anger and judgment. The trouble is that the kids would anticipate my reaction and steer clear having a dialogue with me about anything. Not good in family or society. Family is where kids are introduced to Truth with grace. With the Light of the world reflected in the home, darkness can be rebuked, boundaries made clear and the Father glorified. Prayer guide: My Father, thank You for my bride, my family and Your Word. I confess that I have compromised Truth while trying to extend grace and I have compromised grace in order to stand firm in Truth. Strengthen me as I seek to walk in the tension You lived so gracefully. Grant me the discipline to turn from passivity that has allowed boundaries to be fuzzy and consequences arbitrary in the home. Help me pick my battles well in the tension of Truth with grace as the man, husband and father You expect me to be. Amen. A faithful father picks his battles well in the tension of Truth with grace.